Anything For Selenas! A Selena Tribute Party w/ The Como La Flor Band, 7 p.m., $17.50, all ages, House of Blues Anaheim, 400 W. Disney Way, Anaheim (714) 778-2583, www.houseofblues.com/anaheim. Jameson Burt, Dead Poet Society, Ryan Lee Mead, 7 p.m., $7, 21+, The Wayfarer, 843 W. 19th St., Costa Mesa (949) 764-0039, www.wayfarercm.com. 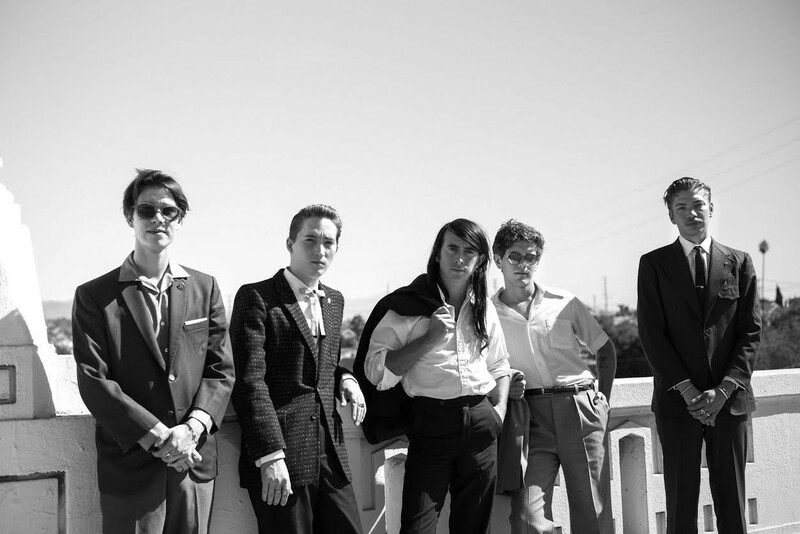 The Buttertones, Rudy De Anda, 8 p.m., $20, all ages, The Observatory, 3503 S. Harbor Blvd., Santa Ana, (714) 957-0600, www.observatoryoc.com. Laura Jane Grace and the Devouring Mothers, Mercy Union, Control Top, 9 p.m., $25, 21+, La Santa, 220 E. 3rd St., Santa Ana, (657) 231-6005, www.lasantaoc.com. Totally ‘80s Live, 7 p.m., $25, all ages, House of Blues Anaheim, 400 W. Disney Way, Anaheim (714) 778-2583, www.houseofblues.com/anaheim. Led Zepagain, 8 p.m., $22, all ages, City National Grove of Anaheim, 2200 E Katella Ave, Anaheim, (714) 712-2700, www.citynationalgroveofanaheim.com. Low Hum, Beginners, WYO, 8 p.m., $8, 21+, The Wayfarer, 843 W. 19th St., Costa Mesa (949) 764-0039, www.wayfarercm.com. The Red Leslies, The Tracks, 9 p.m., $10, 21+, La Santa, 220 E. 3rd St., Santa Ana, (657) 231-6005, www.lasantaoc.com. State Champs, 6 p.m., $20, all ages, House of Blues Anaheim, 400 W. Disney Way, Anaheim (714) 778-2583, www.houseofblues.com/anaheim. Three Chord Kings, Blind House, Del Barrio, Legendary Swagger, 2 p.m., Free, 21+, Alex’s Bar, 2913 E. Anaheim St., Long Beach, (562) 434-8292, http://www.alexsbar.com. Sea Ritual, The Kid Chocolate Band, Strand, 8 p.m., $5, 21+, Alex’s Bar, 2913 E. Anaheim St., Long Beach, (562) 434-8292, http://www.alexsbar.com. Lucy Spraggan, 7 p.m., $13, all ages, House of Blues Anaheim, 400 W. Disney Way, Anaheim (714) 778-2583, www.houseofblues.com/anaheim. Moon Grass Mountain, Lanitarians, Rory Justice, Glitterbug, 8 p.m., Free, 21+, The Wayfarer, 843 W. 19th St., Costa Mesa (949) 764-0039, www.wayfarercm.com. BROODS, 8 p.m., $20, all ages, The Observatory, 3503 S. Harbor Blvd., Santa Ana, (714) 957-0600, www.observatoryoc.com. Green Leaf Rustlers (Featuring Chris Robinson) 9 p.m., $35, 21+, La Santa, 220 E. 3rd St., Santa Ana, (657) 231-6005, www.lasantaoc.com. J Boog, 8 p.m., $36, all ages, City National Grove of Anaheim, 2200 E Katella Ave, Anaheim, (714) 712-2700, www.citynationalgroveofanaheim.com. Reyno, 7 p.m., $25, all ages, House of Blues Anaheim, 400 W. Disney Way, Anaheim (714) 778-2583, www.houseofblues.com/anaheim. All That Remains, Attila, Escape The Fate, Sleep Signals, 6:30 p.m., all ages, The Observatory, 3503 S. Harbor Blvd., Santa Ana, (714) 957-0600, www.observatoryoc.com. Maren Morris, 7 p.m., $40, all ages, House of Blues Anaheim, 400 W. Disney Way, Anaheim (714) 778-2583, www.houseofblues.com/anaheim. Late Night Union, Classless Act, The Shinings, 8 p.m., $5, 21+, The Wayfarer, 843 W. 19th St., Costa Mesa (949) 764-0039, www.wayfarercm.com. Black Moth Super Rainbow, 8 p.m., $20, all ages, The Observatory, 3503 S. Harbor Blvd., Santa Ana, (714) 957-0600, www.observatoryoc.com. Spirit Mother, New Candy, Centre, XO, 8 p.m., $5, 21+, Alex’s Bar, 2913 E. Anaheim St., Long Beach, (562) 434-8292, http://www.alexsbar.com.